With a rare snowfall phenomenon hitting Southern San Andreas (and all forecasts calling for it to last throughout the weekend and into Monday), there's sure to be blood in the snow this holiday with the launch of Juggernaut, a new Adversary Mode pitting armor-clad behemoths and their teams against each other in an all-out brawl for dominance. And while Santa may have his own preferred method of transportation, get ready to trounce Dasher and Dancer with the Comet Retro Custom upgrade, compliments of Benny's Original Motor Works. To further make spirits bright Rockstar is dishing out major bonuses and gifts to all, including Double GTA$ & RP opportunities, plus discounts, weapons, outfits and more. 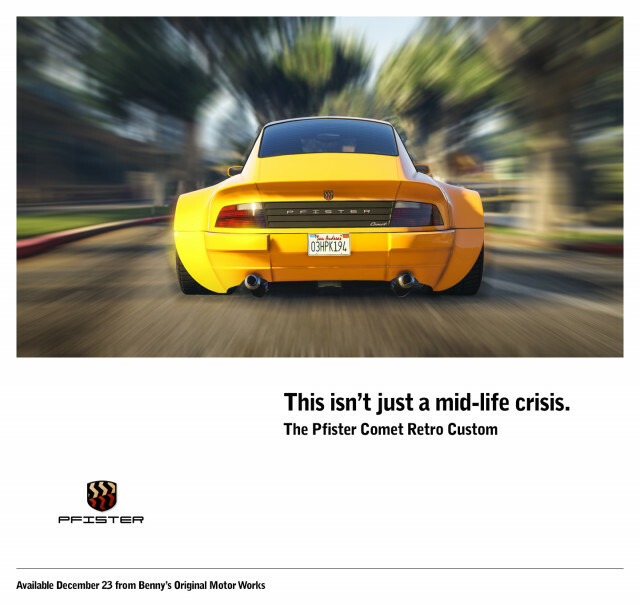 Benny continues working hard through the holidays and just in time for Christmas, he's re-imagined the Pfister Comet - once a beacon of the champagne-popping San Andreas elite - into a gritty urban dragster suitable for the rough-riding drifters of Los Santos. Head on over to Benny's Original Motor Works or your very own Executive Garage Custom Auto Shop to deck out a slay ride of your own today. It's a clash of the titans in Juggernaut, the latest adrenaline-fueled Adversary Mode to hit GTA Online. In this brutal war between two opposing teams, the Juggernaut is your greatest asset and your only liability. As an Attacker, you'll need to flank, swarm and successfully execute the opposing team's heavily-reinforced Juggernaut - while protecting your own - to take the win. If your team is unable to wipe out the opposition's Juggernaut in time, Sudden Death rules go into effect and everyone becomes a Juggernaut. First kill wins though, so you'll want to be aggressive in trying to take first blood. To celebrate the launch of Juggernaut, we're offering Double GTA$ & RP in the mode now through Jan 1st - giving you the chance to spill some red while making that green. Don the suit and bring the holiday fear. Dreams of a white Christmas are now a reality with the current snowfall phenomenon blanketing Los Santos and Blaine County to last well into the evening on Monday, December 26th. 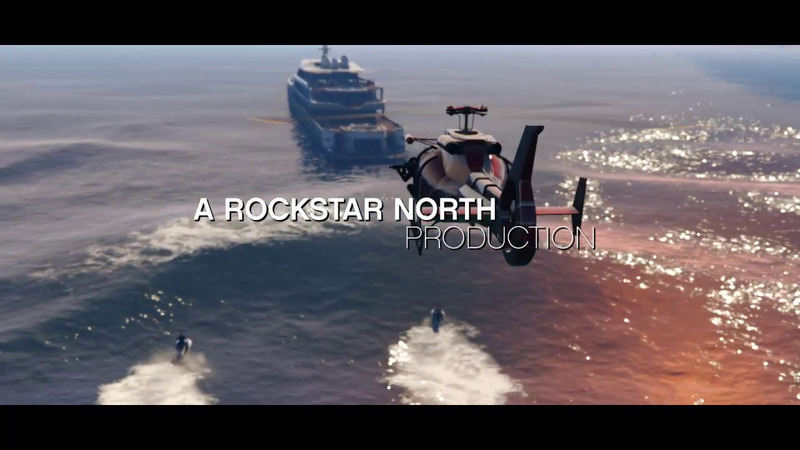 Not only does this mean you'll enjoy a picturesque holiday in GTA Online, but you'll also be able to mix it up with your friends and foes with some good old fashioned snowball fights (just press left on the D-pad to collect up to nine snowballs for your arsenal). The Weazel News Weather Desk is also calling for more of the white stuff on New Year’s weekend, but urge everybody to stay tuned throughout the week for more details as they become available. Also look for another especially explosive special gift when you log in on either Friday, December 23rd, Saturday December 24th or Monday, December 26th - the Fireworks Launcher plus 10 Fireworks rockets, along with a special Event Tee of our choosing. GTAO Festive Surprise Holiday Bonuses - Snow is back! Plus a new car and plenty of discounts and bonuses this weekend!